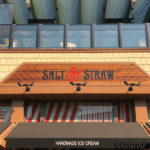 SECRET MENU ITEM ALERT! 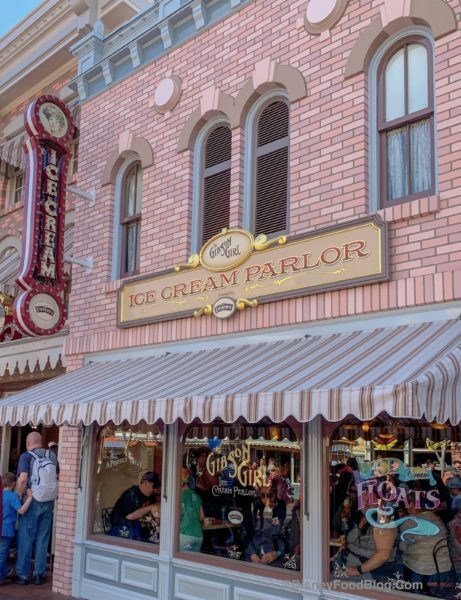 We just discovered a SECRET menu item at Gibson Girl Ice Cream Parlor! 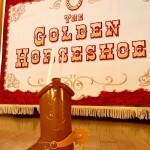 And this top secret treat will soon become the perfect way to celebrate your birthday in the Disney Parks! But just ask the cashier, and they’ll prepare a scoop just for you! 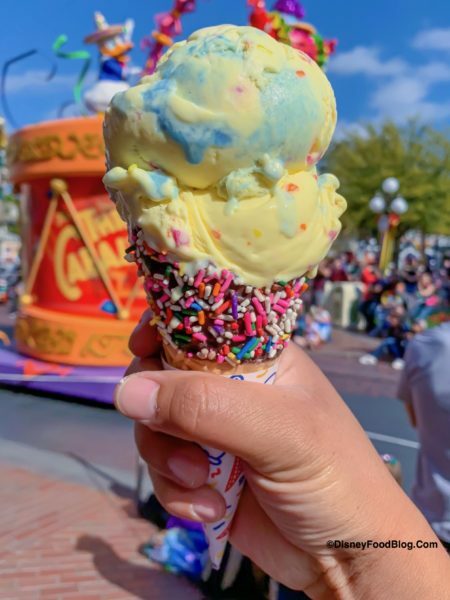 It’s sweet cream ice cream filled with bright, colorful confetti sprinkles and a blue swirl that the Cast Member called a “blue buttercream frosting swirl.” It was YUUUUMY! 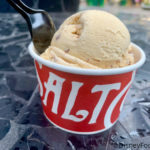 Perfect treat for the warm weather we’ve been having in California! 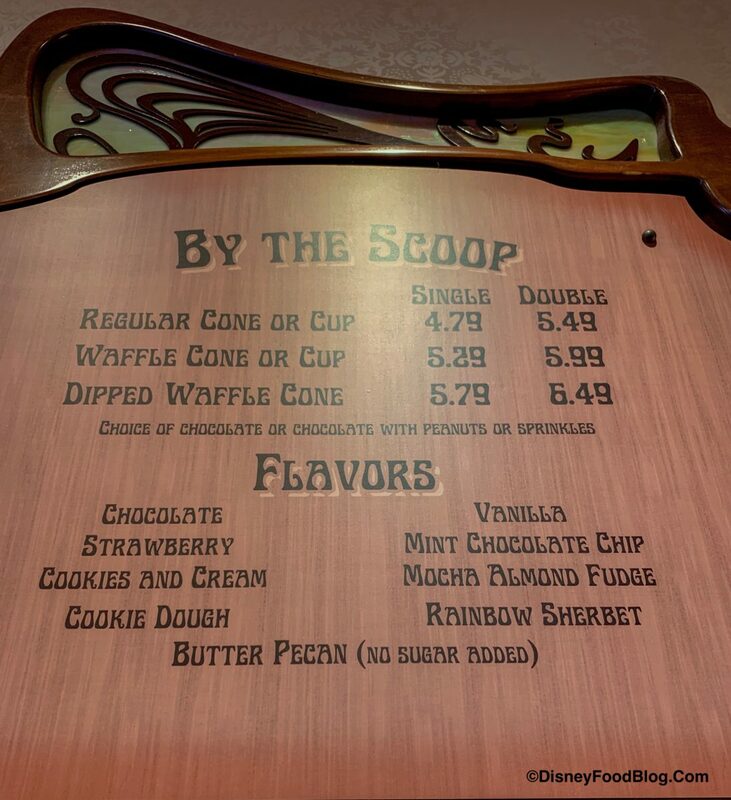 We had to get TWO scoops to ensure we had an accurate tasting. 😉 😂 This flavor was definitely a WINNER for us and we highly recommend it! 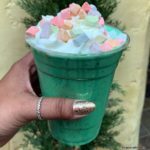 There have been so many great new treats popping up in Disneyland! Be sure to get your own scoop at Gibson Girl Ice Cream Parlor down on Main Street! 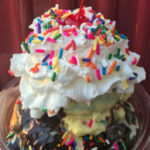 Whether it is your birthday or not you will be sure to want to try this secret menu item! Are you going to get the Birthday Cake Ice Cream? Please let us know with a comment! « Go Around the World with These New “it’s a small world” Coin Purses at Disneyland! Yes!! I’m so excited to eat this in July! 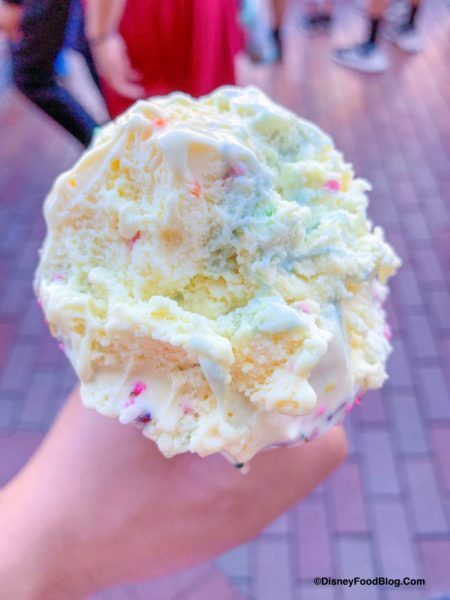 Perfect summer treat to celebrate Mickey’s Birthday!